Home » 2016 » Boycott Ballon d'Or » FIGC » Gianluigi Buffon » Gli Azzurri » Italian Football Federation » Italian national team » Sport » voting FIFA Ballon d'Or » Italy Boycott Ballon d'Or? 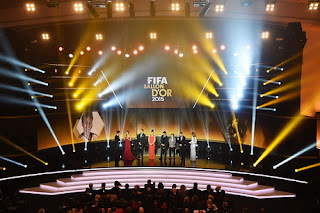 Zurich - Coach and captain of the Italian national team did not cast their votes in the voting for FIFA Ballon d'Or 2015. Is this a form of boycott Italy towards the Ballon d'Or? As a member of FIFA, Italy had the right to vote in the voting Ballon d'Or. Voting is Antonio Conte as coach and captain Gianluigi Buffon as Gli Azzurri. In addition, there are also representatives of the Foreign journalists Pizza. However, after the release of the full results of voting FIFA Ballon d'Or, including who choose who, Conte and Buffon was not on the list of those who participated voted. Italy only represented by journalist Paolo Condo, who chose Lionel Messi, Robert Lewandowski, and Neymar. Sky Sports suspect this has something to do with the influx of Buffon in the initial list of candidates winning the Ballon d'Or in 2015 which was released last October and contains 59 names of players. In fact, Buffon made a large contribution last season as Juventus became Serie A and the Coppa Italia as well as qualifying for the Champions League final. This makes the Italian Football Federation (FIGC) touted Conte and Buffon instructed to abstain in protest. Goalkeeper-keeper who entered the initial list of candidates winning the Ballon d'Or 2015 is Claudio Bravo (Barcelona), Manuel Neuer (Bayern Munich), Thibaut Courtois (Chelsea), David de Gea (Manchester United) and David Ospina (Arsenal). 0 Response to "Italy Boycott Ballon d'Or?"